A nightstand is your personal station, and especially so in a shared bedroom with the Mr. or Mrs. You should keep the area neat and orderly for organization and appearance’s sake. 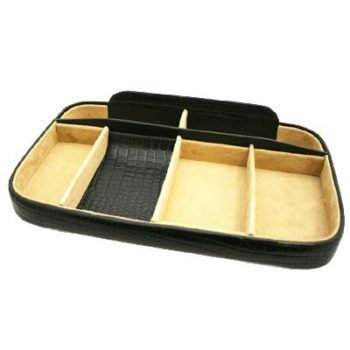 This is where our luxury night trays come in; don’t settle for standard when you can settle for premium. A Marlborough of England night tray is designed for looks just as much for function. 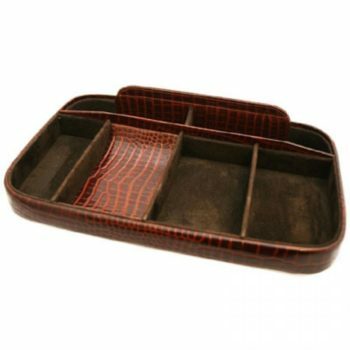 Each tray is covered in genuine leather and put together by hand from the finest craftsmen. 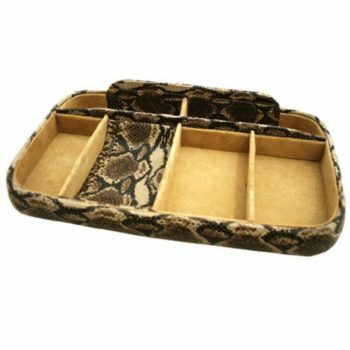 The tray is also equally luxurious in feel. 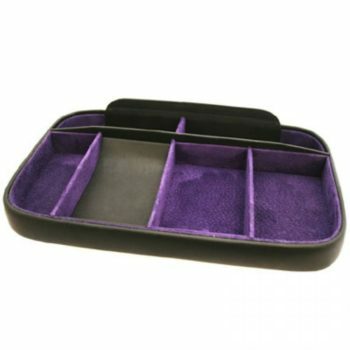 The four tray compartments are soft to the touch and provides ample space for small items like your reading glasses, smartphone, wrist watch, and jewellery items. Place our night tray on your nightstand or dresser, and you have a décor item that adds an element of high-class and grandiose elegance to its immediate surroundings. The area will not only look more presentable but it will exude the grace of a well kempt gentleman or lady.